Ross Wilson has been collecting Supreme since the store first opened in the early ’90s. 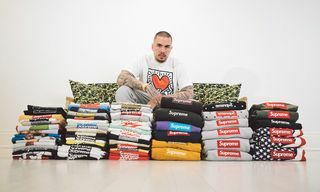 As one of our residential experts on all things Supreme, Ross has detailed everything from a history of their featured celebrity T-shirts to the brand’s penchant for boxing references. Now, Ross has teamed up with online retailer The Idle Man to present “Wilson’s Vaults: A Supreme Archive” – a unique exhibition/retail project encompassing his own history with the New York brand. Opening the doors to Ross’ 23-year-old Supreme vault will give fans a rare opportunity to view and purchase some of the brand’s most iconic designs and collaborations. We got caught up with Ross to see what’s going on sale, why now and how to buy it. Tell us a bit about your history with the brand. I spent much of my childhood in Great Ormond Street Children’s Hospital in London where one of the only things that kept me sane was being allowed to leave for days out in the city. These days were always spent skateboarding around legendary spots like South Bank and Royal Oak with my cousins. Skateboarding was my biggest passion back then and when my favorite skater (and future Supreme collaborator) Mark Gonzales spent the summer of 1987 in London I pretty much shadowed him as much as I could! 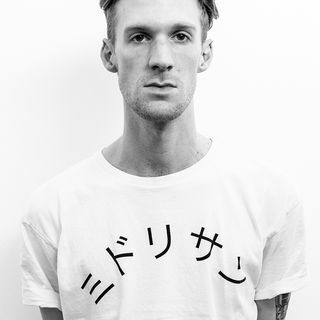 The USA was the global skateboard mecca, so I was determined to get myself out there one day. Fast forward to October 1994 and I had saved up enough money to book a return flight out to the States. Although Southern California was the center of skate culture I had always been more fascinated with the music, movies and art of New York City, so I booked a tiny room at the notorious Chelsea Hotel and flew out with a suitcase and my skateboard. The mid-‘90s was a strange time for the skateboard industry with many independent skate shops closing down due to a temporary downturn in sales. New York seemed to be particularly hit by this and during my first few days in the city I was unable to find any genuine skate stores to visit and meet other skaters. Eventually finding myself skating the streets in downtown Manhattan, I pitched up at Ray’s Pizza on Prince Street in Soho for a lunchtime slice. A guy happened to walk in with a board, so I asked him what was up with the lack of skate shops in this city and he directed me round the block to a new store called Supreme. Back in England I was desperate to spend more time over in NYC, so I hustled various different ways of working over there and ended up with bi-monthly visits to the city over the following decade. The little skate shop on Lafayette Street was always a familiar spot on each visit back in the early years — back then there didn’t seem to be many people actually buying stuff, more like a meeting place and somewhere for skaters to hang out. There was no social media, no blogs, not even a Supreme website so therefore no hype or lines outside the shop. It was just a cool skate store that happened to sell some really interesting products which all seemed to reference the culture I was personally into – punk, reggae, soul, hip hop, art, movies and skateboarding. 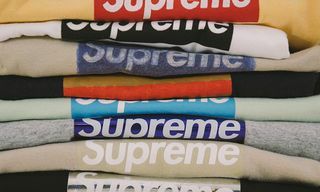 When did you first start collecting Supreme? To be honest I’ve never considered myself a “Supreme collector” as I never set out to collect, I’ve just happened to accumulate a lot of products I like over the years. I think a true collector really seeks out items missing from their collection and I’ve never been one of those people. All the Supreme items I own were directly from Supreme at time of release rather than purchased on the secondary market, which I feel makes my collection unique. 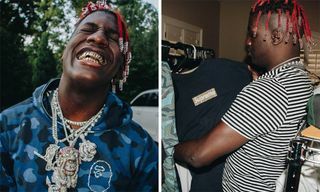 If you have a ton of cash you can become a “Supreme collector” easily these days simply by going online to various outlets, or visiting consignment stores like Round Two or Stadium Goods. The difference with my stuff is that it all came from one of Supreme’s stores in NYC, LA, Tokyo and London, from one of Supreme’s old wholesale accounts like The Hideout, DSM and Fly, or was a gift from Supreme themselves, so each item has a personal history to me. Although I have a wide taste in clothing I feel like Supreme has been up there alongside Levi’s, Ralph Lauren and Nike as my wardrobe staple through the past two decades, so I’ve just built up a huge vault of products by accident really. If I had ever decided to collect Supreme I would have acquired a warehouse full of it by now! I only ever bought the stuff I personally liked rather than what I thought was hot or potentially valuable. The amount of Supreme stuff that I’ve lost, given away or had stolen over the past 23 years is ridiculous – probably almost double again what I have now! Why are you now deciding to sell your archive? Was this always the plan? After two decades of accumulating this stuff I’ve got a whole room in my house full of Supreme gear so I really need to make some space to be honest. When I started buying Supreme it was almost like a little secret club for like-minded skaters, now it has become an incredible huge lifestyle brand with millions of dedicated followers all over the world. This new Supreme fanbase may have their own online communities, events, fan sites, reseller stores and language (please never say the word “bogo” in my presence!) but many were either too young (or yet to be born) when some of these products originally came out so I feel like it’s a good time to pass on some of those iconic items to the next generation of Supreme devotees who may not have had the opportunity to purchase them in the past. It was never some great masterplan to acquire all this stuff just to sell it, I’m not a professional reseller or anything like that — if that was the case I would have heavily stocked up on all those years of $20 box logo T-shirts and every single North Face collaboration jacket back in the day! “Wilson’s Vaults” will feature about three quarters of my personal collection. I’ve held onto about 25% of some favorite items — some early Box Logo T-shirts and sweatshirts, a jacket, some hats, a couple pairs of sneakers and a few accessories. A lot of the more recent stuff from the past few seasons I’ve kept back too. What platform are you using? How can we actually cop it? I looked at multiple options when I started planning this about a year ago. Initially it was going to be entirely a pop-up store, but then that felt a little unoriginal and boring. I also wanted Supreme fans from all over the world to have access to the collection so that also ruled out the idea of a UK store. As some of these products have been in my possession for so long it was important for me to combine an exhibition-style element to complement the online retail aspect and The Idle Man came through with an offer to host both the sale online and my exhibition in their space in London. I really liked the vibe and approach to their online content and they were genuinely interested in telling my story and giving me control over how my products were presented and sold. They are offering worldwide shipping so everyone from Europe to the USA to Asia will have access to the sale if they so desire. Those interested in the sale can register their details on the “Supreme Archive” page at The Idle Man site then at 13:00 GMT on Thursday, February 1 2018 this holding page will become (available only to those who have registered) a viewing gallery of my collection. All items will have a fixed price and will be sold on a raffle system to make it fair for all prospective buyers and to avoid bots. Shoppers can add items to their cart and enter their card details for a chance to purchase products. The opportunity to purchase will close on Thursday, February 8 when all items will be allocated at random. Successful shoppers will be notified of their purchase on Friday, February 9. Working with The Idle Man has been a really great experience so far, their young team are really supporting the project and together we are creating what I hope will be a great visual pop-up space and a unique shopping experience. Tell us about some key pieces from your collection? For the sale there are plenty of classic pieces from the Supreme history books. There’s a serious amount of T-shirts, plenty of interesting accessories such as the original Supreme x Spalding basketball (that recently caused a stir), most of the Nike collaboration shoes dating back to the start of their partnership in 2002, that banging leopard print Nuptse jacket by The North Face and an abundance of box logos! There will be anything from sticker packs to skateboards, Friends & Family exclusives to production samples. The condition of goods ranges from brand new with tags to completely thrashed and worn-out. I have the original release of the infamous purple box logo T-shirt I bought in the New York store back in 1999 but during the really hot summer of 2003 I decided to cut the sleeves off it. I never knew back then it would go on to become such a highly desired, almost mythical item of clothing – hindsight is a wonderful thing! What do you make of Supreme’s recent business with the Carlyle Group? I think, good for them. I have nothing but complete respect and admiration for James and his tight-knit team for what they’ve achieved independently over the past two decades. James has built a unique business model that many have since tried to emulate but there is only one Supreme, and I honestly don’t think in this day and age there will ever be anything quite like it. When the sneakerheads and resellers started to descend on Supreme back in the early ‘00s it would have been easy to increase production and widen distribution but James did the exact opposite – he tightened it up! 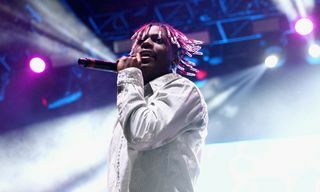 Knowing full well the inflated prices on the secondary market were making the brand even more desirable, he put an end to the days of shop shelves full of box logos, ended wholesaling to stores and spent little on advertising bar a couple of core blogs. It was a clever strategy — starve people of what they want so it becomes even more revered. 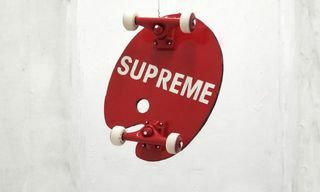 Supreme weren’t the first to operate this way, but they certainly did it with class and credibility. They’ve grown slowly and carefully, with James keeping a core authenticity at the heart of the business so I feel the dude deserves to take that next step for the growth of the brand. Do you think this will change much for Supreme in the future? No not really, investment doesn’t necessarily mean a change in the brand or its ethos. They’ve come too far on their own to let outside investment ruin their legacy and they aren’t that stupid. I’m sure we’ll see more Supreme stores opening in new territories but it won’t be an overnight thing. I can’t imagine Supreme ever being sold in chain retailers or malls for instance, if they wanted to take that route it would’ve been done 15 years ago. Will you continue to buy and wear Supreme once this project is over? Oh yeah absolutely! I’ve met some great friends and had so many memorable experiences originating from that skate shop on Lafayette Street, so I’ll always follow the brand’s journey with interest. Supreme to me will always be rooted in skateboarding and, in my opinion, their clothing sits alongside the likes of Ralph Lauren, Champion and Levi’s as American design classics. Even after all these years I’m as amazed and excited by some of the new products they release as I’ve ever been, so long may they reign supreme! Final words before the vault opens? I’d like to give special thanks to everyone at Supreme past and present – James, Gio, Jagger, Moya, Alex C, Angelo, Alex D, Ryan, Liz, Chris, Pooky, Neal, Charles, Pryce, Ty, Miles, Akira, Dave, Josh, Martin, BB, Christine, Kyle, Samir, Tino, Karim, Jin, Carl, Steve, Logan and everyone else who I may have forgotten! Thanks to the whole team at The Idle Man, the online Supreme community, and anyone who’s ever ridden a skateboard! 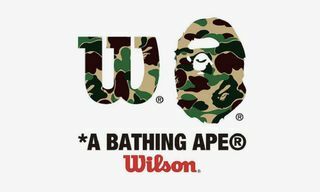 Wilson’s Vaults : A Supreme Archive is now open for registration and will go live on theidleman.com from Thursday 1st February 2018 for a limited time only. Please follow @rosswilson_07 and @idle for updates and competitions.